Translating roughly to ‘Leonardo da Vinci and Florence, selected pieces from the Codice Atlantico’, this exhibition is one of many across Italy in this, the year of the 500th anniversary of the death of Leonardo da Vinci. He was, of course, a Tuscan, and his ties to Florence are many and strong. The twelve pieces on show, taken from the ‘Codice Atlantico’ of the veneranda Biblioteca Ambrosiana in Milan (the city home, of course, of his Last Supper) show these ties, demonstrate how Leonardo is of Florence, not just at Florence. 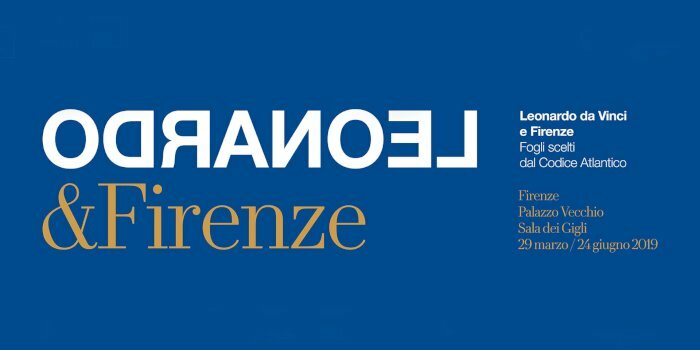 The exhibition takes place in the Sala dei Gigli, and tickets for the exhibition are included in the cost of the Palazzo Vecchio ‘Secret Passages’ tour – see tickets and tours here. Previous Post Last Supper 2019 – May and June availability.